USB Debugging & Development. Watch a live demo of how to use the the Beagle USB 480 Protocol Analyzer for capturing and debugging. 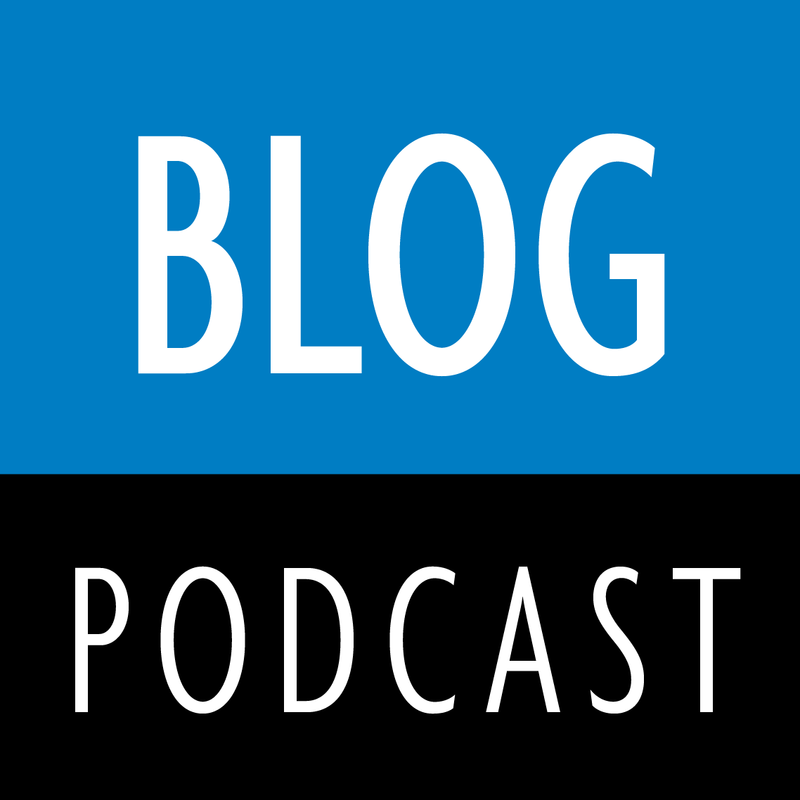 Listen to the recorded interview of Gil Ben-Dov, CEO discuss how engineers and field workers can use Total Phase development tools for debugging sensitive embedded systems, such as ATMs. 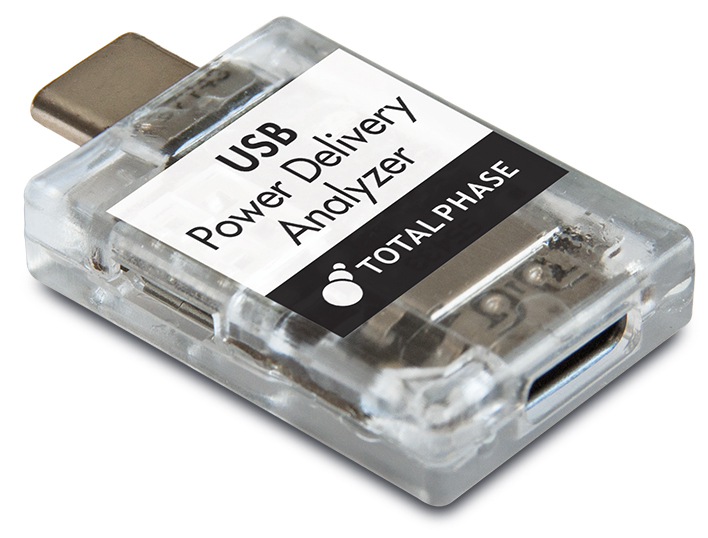 There is a lot of excitement here at Total Phase around latest addition to the USB family – the Type-C™ connector – especially with how it relates to the USB Power Delivery (PD) specification. The Type-C connector is a 10 Gbps reversible plug/receptacle providing a multi-function single cable solution for USB, power, and audio/video. It supports a variety of protocols using “alternate modes,” allowing for output to HDMI, VGA, DisplayPort, and other types of connections from a single USB port. The Type-C combined with the USB Power Delivery Specification is a very powerful tool. USB 2.0 provided for 500 mA at 5 V (2.5 W). The new PD specification provides up to 100 W of power and is bi-directional; so, devices can send or receive power. Additionally, power can be sent at the same time the device is transmitting data across the connection. Imagine all the possibilities: fewer connections; no more proprietary charging cables; and a single charging standard. The USB Power Delivery specification and its adoption is going to revolutionize the connector industry and Total Phase is proud to be part of that movement. Read what industry expert, Dr. Jerry Krasner, Ph.D., MBA, Embedded Market Forecasters, has to say about the evolution of USB. Learn how the Total Phase Power Delivery Analyzer can help you with your test & development of USB Type-C and USB PD. Read this Total Phase Knowledge Base article to learn about monitoring USB Power Delivery. Low-cost or high-performance - it doesn't have to be one or the other. A recent article, "Changes are coming in established driver interface protocols" Embedded Computing Design (Sept 24, 2015) notes that the field of driver protocols, I2C, SPI and USB is facing a number of challenges: growing markets, increased speeds, and new use applications are driving technical advancements. How does the embedded design engineer keep up? Which tools best support this ever changing environments? What is the best resource for the cost, time and effort? Total Phase provides a range of cost-effective tools for embedded devices. 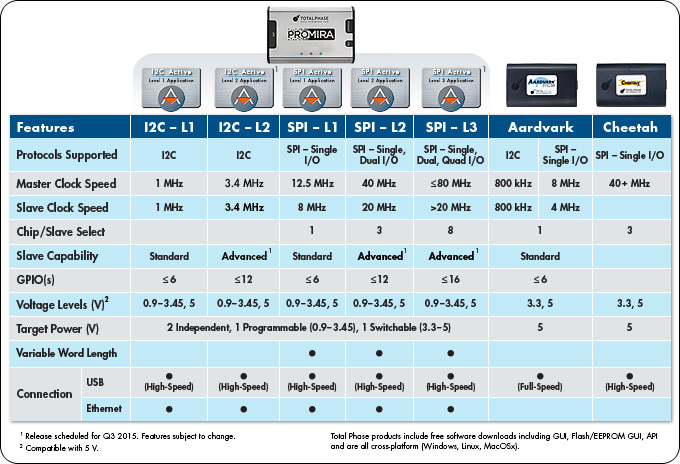 Table 1 provides an overview of application features for the Total Phase Promira™ Serial Platform. Table 1: Applications for the Promira Serial Platform. Coming soon, additional applications to further expand the capabilities of the low-cost and scalable Promira Serial Platform. I have been designing with I2C and SPI peripherals for 30 years. Hands down, the TotalPhase Beagle I2C/SPI Protocol Analyzer and Aardvark Host Adapter are the easiest to use, fastest to implement, and least expensive (by 3X) tools on the market.